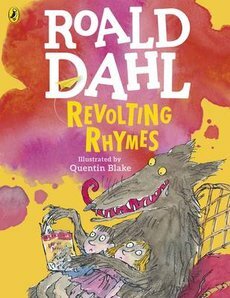 Roald Dahl Day takes place on 13 September every year and marks the anniversary of the birth of Roald Dahl’s, an author who has been read by most children on the planet and has been translated into 58 different languages. He wrote 39 books for children and adults, creating many ‘gloriump-tious’ characters such as Charlie Bucket, Matilda Wormwood, The Twits and the BFG. To celebrate his birthday why not try out some fantastic Early Years Dahl-themed activities, along with a series of brilliant cross-curricular lower KS1 activities based on one of Dahl’s lesser-known treasures – The Minpins. Join in with the worldwide celebrations of this iconic author on September 13th. Share some of his stories and characters with the children. Revolting Rhymes , The Enormous Crocodile and The Giraffe, and the Pelly and Me are especially good for younger readers. Go to the Roald Dahl website and learn about his life, stories and all the special events planned this year, such as the Magical Minpins Roald Dahl Day Celebrations from 16-17 September.